It’s been a while since I’ve had my hands on some local beers, cocktails and young wine. And I have to be honest, I had some doubts in pairing these drinks with Canadian food because these things, collectively, have not touched my palate in a long time. 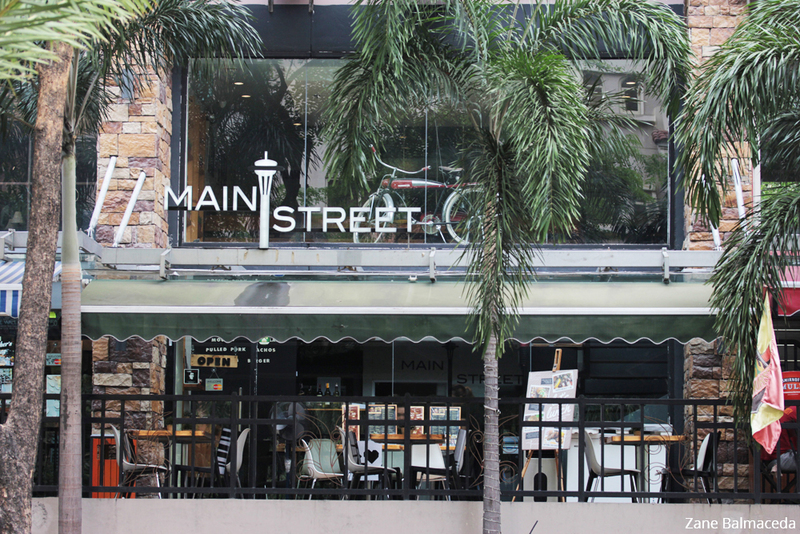 I visited Main Street in Tuscany along McKinley Hill in BGC. It is conveniently located in a strip full of restaurants and bars where the young professionals or the yuppies would hang out at lunch time and after office hours. 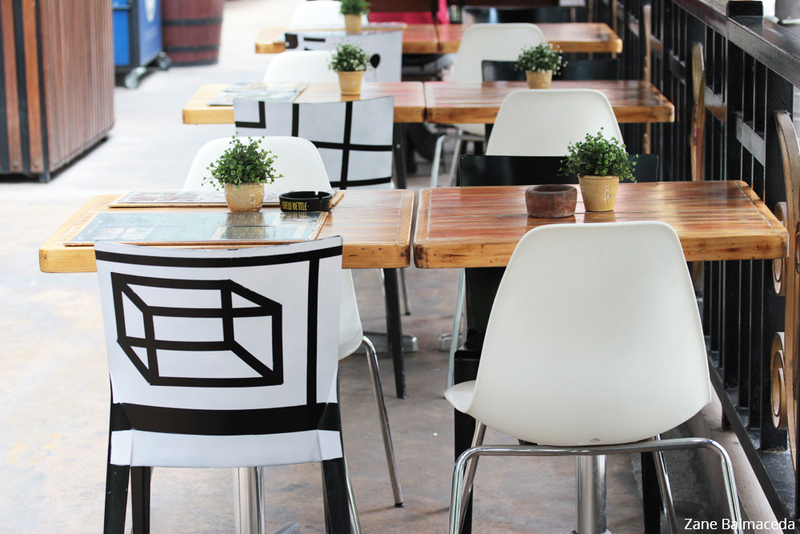 It can accommodate up to fifty guests, indoor seating and al fresco combined. I was welcomed by Adam Tan, owner of Main Street in BGC and their newly opened second branch in Capitollo, Pasig City. 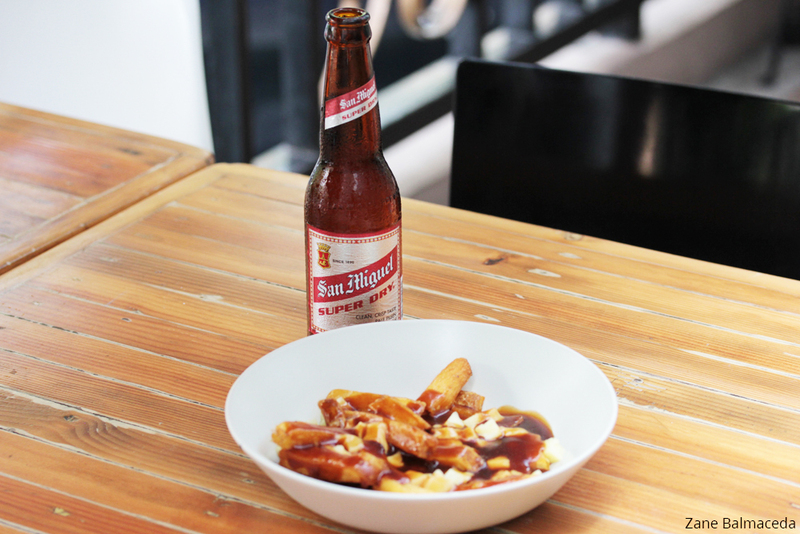 Adam came up with the Canadian concept because of his love for Canadian food that started when he lived in Canada a few years back. Adam and his wonderful team had pre-picked the dishes and drinks for me that day. They told me I was getting the newest stars of their menu and the best-selling drinks. Main Street specialises in Canadian Beer but their best sellers are San Miguel Super Dry, Moscow Mule and the Rex Goliath Cabernet Sauvignon. San Miguel Super Dry is brewed from a blend of the choicest hops that come from the US, Germany and the Czech Republic. This brilliant light amber lager is quite strong and it has aromatic hop notes and flavours that give off an overall dry taste and an elegant quick finish. Its clean, crisp hoppy flavours instantly make this brew the absolute beer of choice among the locals. I like its light orange colour, minimal head and lacing aroma. It has a 4.90% ABV (alcohol by volume) and it’s probably the best beer to enjoy on a nice, relaxing hot afternoon in this tropical country. Thankfully, Adam prepared this beer with two kinds of dishes that granted me with two different pairing experiences. Starting off with their Traditional Poutinerie. Traditional Poutinerie – hand cut fries, mozzarella cheese curds and darkbeef gravy. On the menu for 165 pesos. The potato was served right. It was warm, crisp and fresh. The mozzarella added that needed salty flavour to the fries. The beef gravy was nicely seasoned with spices. I chased my first bite with my beer. Super Dry gave me a smooth and tangy-sweet beginning and it finished with a slightly bitter after taste which faded quickly. I’d say it was a nice complement but I was more eager to try the next dish that came with this beer. And so I did. 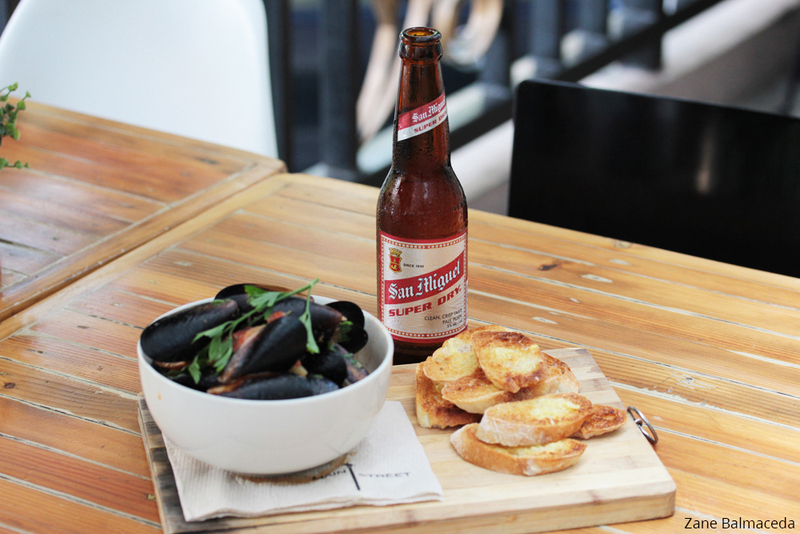 Moules Conglaise – Chilean mussels cooked in a smokey tomato-lemongrass-coconut cream sauce with garlic bread. Good value at 330 pesos. In front of me was Moules Conglaise and I quickly took my first bite. The mussels were fresh. It hit me with strong hint of lemongrass that toned down as the coconut cream set in. The mild sweetness of the coconut cream added that nice aroma to the whole dish. Super Dry is quite loved locally but I’ve only ever tried it a couple of times. On my third time, my beer raced down with the sweet and sour combo of the mussels and the tomato-lemongrass-coconut cream sauce. It was nice and it blended sweetly. The beer went well with this one. Unlike the fries from earlier, the mussels gave this beer a much sweeter effect and the bitterness is almost down to zero. I never thought I’d actually be able to enjoy this beer in its sweetest form. All I needed was this dish. The butter and garlic bread was a needed crisp. Aside from the crunch it brought, the richness of the garlic and butter was yet another experience. If I have to be honest, I never really liked vodka. I was little hesitant to try this Moscow Mule, but I’d never say no to any drink that has ice and lime. It came with Blackened Chicken with Creole Butter. It’s a good thing I didn’t say no to this cos it turned out to be my favourite pair of the day. 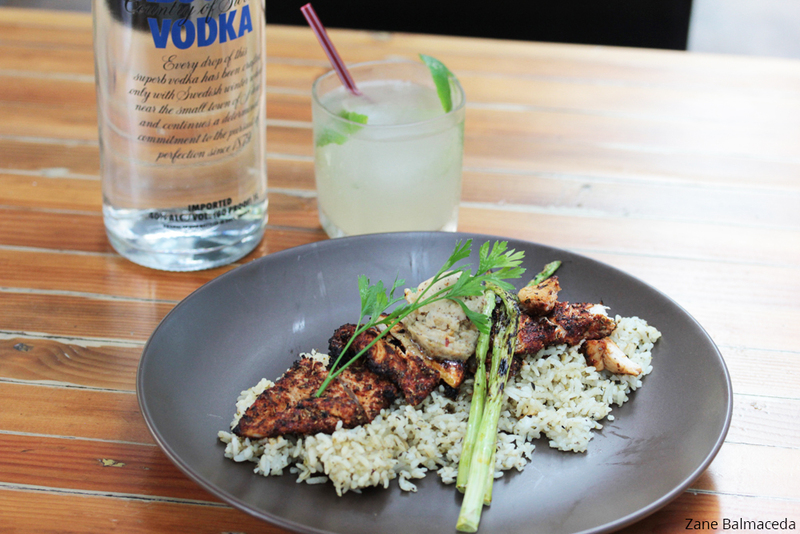 Blackened Chicken with Creole Butter – grilled cajun spiced chicken, creole butter, asparagus and herbed rice, yours for 300 pesos. The chicken was spicy. This flavour stayed even after the first sip of the Moscow Mule but it toned down on the second sip. It was a complete blast of sweet, salty, spicy and tangy all together. It ended sweetly with a strong hint of lime. This was something I really liked. If I wasn’t saving room for the last dish, I would have finished the whole serving with my new found friend – the Moscow Mule! Now looking at the label and reading its description, this wine is cocky. The bottle loudly boasts that the wine received a rating of 94 at the California State Fair. The Rex Goliath Cabernet Sauvignon was a decent sip but it was hardly the big, robust, palette-filling California Cabernet that most wine drinkers are used to. The finish was short, thin and super tart. It’s totally drinkable for those who are not big wine drinkers. I went ahead and chased down my first bite of Main Street’s Lamb Burger with it. 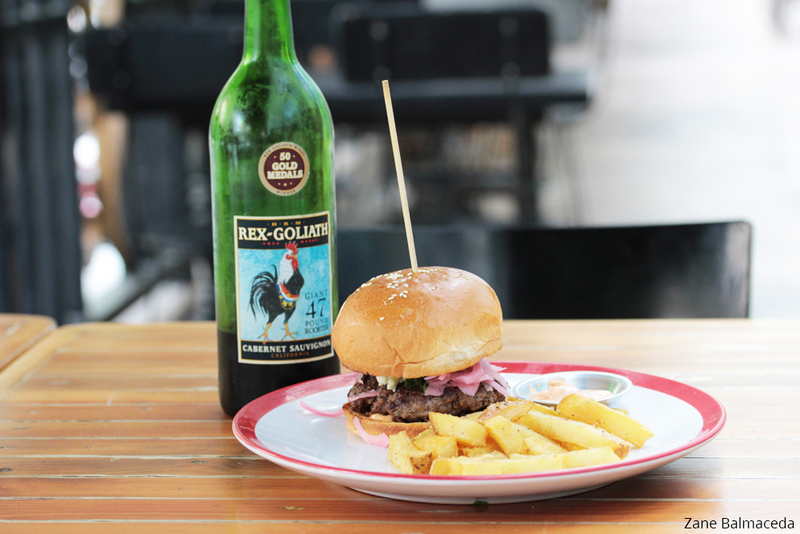 Main Street’s Lamb Burger – 100% house-ground Australian lamb, harissa mayonnaise, crumbled blue cheese and shallots. The lamb meat was done to my temp preference – and I’d say it’s the heart and soul of this burger. No sauce or added spices were needed. The flavour was very satisfying and pairing it with this wine was an absolute blast. This wine definitely goes down well with red meat. This Cabernet was dark and intense – it was long on fruit and short on attitude. With a 13.5% ABV (alcohol by volume), I give it three stars out of five for this pairing experience. With Main Street’s beer, cocktail and wine list and food menu, I’d say I had the perfect match today. I am interested to try the other food items on the menu and maybe I’ll find what goes well with my favourite gin and tonic. I am coming back for more. 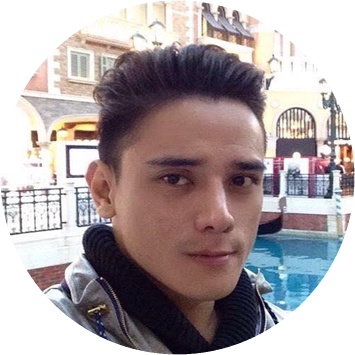 Born and raised in a multi-cultural environment and a firm believer that the best way to learn is to travel the world. He enjoys hiking and outdoor bootcamp. His passion for arts, writing, food and business administration lead him to be foodpanda’s Senior Marketing Manager in Hong Kong and in the Philippines.